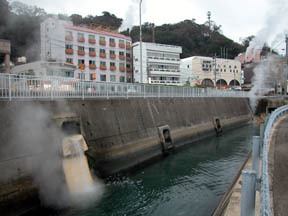 A clouds-of-volcanic-steam emit, the Shimabara peninsula, the high temperature spring at the foot of Mt. 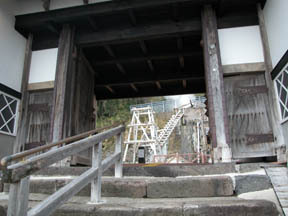 Unzen. 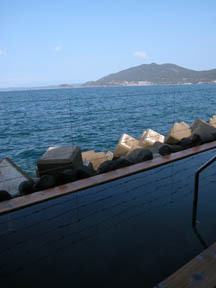 A seaside open bath, the Namino-yu "Akane" of 300 yen (Heisei 16). 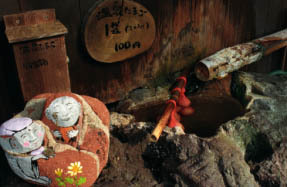 the Yudutsu using a high temperature spring and a hot spring egg are also seen here and there -- old (Ryokan Kunisaki) this many hot water -- an actor qualified to play the protagonist in noh play -- a residence and the Ohama-cho history scientific library. 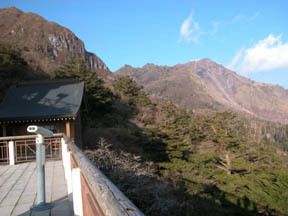 As for "Hakusan FUURO" and a hakusan, the treasury of alpine flora and a name also have many Hakusans and endemic species to attach.